Should the American people have the right to decide by vote, a “right to choose,” so to speak, if the act of defecating on the American Flag is a form of “speech,” as five of the nine lawyers on Supreme Court ruled in the landmark case of Texas v. Johnson, 491 U.S. 397 (1989)? The proposed Flag Amendment, which would give the American people the right to vote on that question for the first time, has been introduced (re-introduced) in the Senate by Sen. Orin Hatch as Joint Resolution 17. All it does is to allow the American people, through their elected representatives, to democratically decide by vote whether legislation may be adopted to protect the Flag from desecration. The Flag Amendment does not dictate how that should be done. 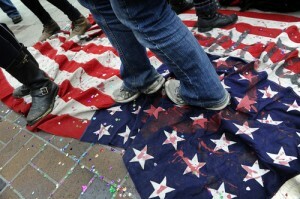 It only authorizes Congress to enact laws protecting the Flag from desecration in the democratic process. The American Legion, the largest wartime veterans organization in the world with some 2.4-million members in over 14,000 Posts, has been a leader in the fight for the Flag Amendment through its Citizens Flag Alliance (see, www.Legion.org). For more than a decade the Legion’s fight for the Flag Amendment was led by one of America’s greatest living military heroes, Maj. Gen. Patrick Henry Brady, Medal of Honor (Vietnam), considered to be America’s most decorated living veteran. Under General Brady’s leadership, the Flag Amendment was consistently passed by a large majority in the House, and came within one (1) vote in the Senate of being adopted and sent to the States for ratification. Now, there is another opportunity. The Flag Amendment is necessary because the Flag cannot be protected by a law established by Congress. That is because our unelected, unaccountable, politically-appointed, life-tenured robed masters of the Judicial Branch, lawyers-in-dresses ruling like Feudal Lords dictating to peasant serfs, have pontificated that burning the Flag, stomping on it — and even “defecating” on it — is a form of First Amendment “speech.” Any law passed without the Amendment would be immediately struck down by lawyers in the judiciary. 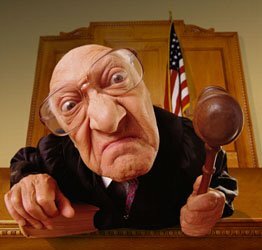 I suggest that any lawyer sitting as a judge — since only lawyers can serve in the Judicial Branch, lawyers having usurped one-third of our tripartite government for themselves — who believes that defecating is a form of “speech” that Gen. George Washington and the other Founding Fathers had in mind when they created the First Amendment, is himself or herself speaking out of the wrong orifice. If we send Americans to give their lives in military service under the Flag defending the freedom it symbolizes, if we drape their coffins with the Flag under which they served, then we should have the courage to stand up against the progressive liberal politicians and elitist totalitarian social-engineers epitomized by the ACLU and like-minded lawyers sitting as judges, and demand that Congress pass the Flag Amendment and send it to the States for a ratification vote as the Founding Fathers provided. If the American people reject it, so be it. If the American people adopt it, then do it. The same government which sends Americans to fight and die in foreign lands so that the people there may have the right to vote on how they will be governed, should at long last let the American people vote on whether the American Flag should be protected from desecration.